01/24/2018 This is the place to work if you’re interested in working for agency. The clients I have meet over the years are amazing and welcoming. The staffs are ivery accommodating and helpful. 01/18/2018 It is the best Company to work for. Working for NRHC is a blessing in my life. I experienced joys and happiness with the HR and scheduling. Great shifts that can fit my everyday life. The best of all, is the satisfaction and the gratitude that the clients and their family showed me that kept me going. I love working now with NRHC and will always! 01/15/2018 Excellent place to work for. They take pride in their company and service to clients. 01/14/2018 Working for north river is great. The office staff is always helpful! 01/12/2018 This is a great company to work for. Staff is treated with respect and the office staff tries hard to accommodate the scheduling needs of the employees. 01/11/2018 Very satisfied. 5 ???? 01/11/2018 Sadly, there are too few and far between employers that make it a point to let you know how appreciative of the hard work that you do. Gladly I found this type of appreciation within your agency. Everyone that works in the office is always pleasant and polite when having to phone them, and will respond to you in a timely manner. I appreciate the fact that the agency is so willing to provide on-going training, offer support groups, and put their client's needs first and foremost. 01/11/2018 Working for NRHC is an awesome and self full filling experience. My schedule is flexible and the schedulers are professional and accommodating. I look forward to providing continue services to our clients in accordance with the NRHC Policies. At North River Home Care, your happiness is our #1 goal. We work hard to build trust with your loved one and your family, and ensure that your expectations are not just met, but exceeded. But don’t take our word for it! 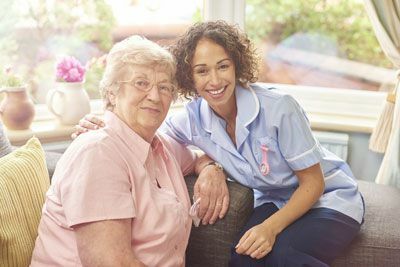 Take a look at what some of our happy clients and referral sources have to say about our home care services in Massachusetts. “I am writing to tell you how pleased I am with your company. When I first hired your firm I had been using another health care company that I was not pleased with. I of course was looking for a compassionate, reliable and professional group of people to care for my father who is 85 and living in an assisted facility. Leaving the care of a loved one is always difficult because you never think someone can care for them as you would. I have to say I have been very pleasantly surprised. The aides that you work with have been a very patient, knowledgeable and compassionate staff. Your automated “check in” system puts my mind at ease that everyone is in place as they should be. “I want to thank you for the wonderful services I received from North River Home Care. I don’t know how you do it but you employ ANGELS in every sense of the word. The personal care attendants you sent to care for me were all ANGELS. They were all extremely kind, sensitive, vary caring, and each had a wonderful giving spirit. They went far beyond their duties. It is very difficult to lose your independence and modesty; however, the personal care attendants that came to my house took care of me, as if my family came to care for me. I felt very comfortable in their company as they were extremely compassionate. They were also wonderful company. Want to learn more about how North River Home Care can help your family or your patients? Contact us today!